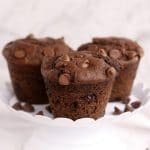 Double Chocolate Muffins – moist chocolate muffins loaded with chunks of milk chocolate inside and on top. 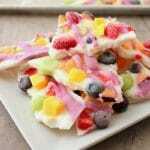 A sweet 30-minute breakfast, snack or dessert everyone will enjoy! I know it’s going to be a great day anytime I can justify having chocolate for breakfast. These sweet muffins are moist and not overly sweet. Not only do they taste delicious, but they’re also so easy to make. 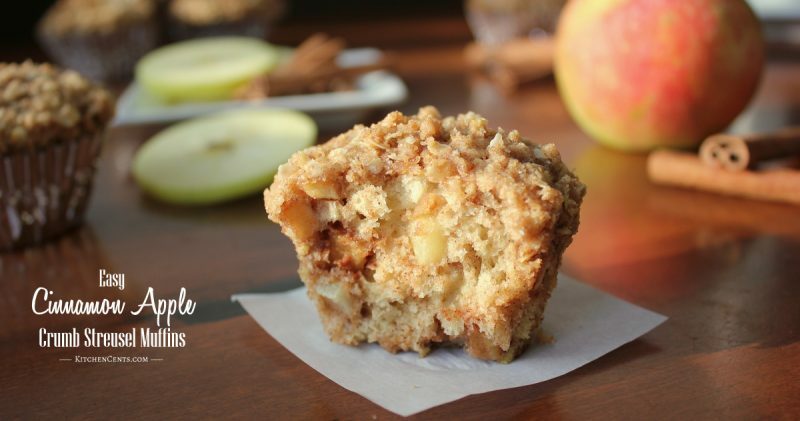 One of the best parts about this recipe… you can have a batch of these scrumptious muffins ready in 30 minutes! That’s like a win, win, WIN!!! This is one of those recipes I throw a little of this and a little of that in a bowl and crossed my fingers it would come out yummy! 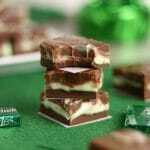 To our benefit, they did and they were so good I wanted to share the recipe with you. I made a blueberry muffin at the same time which turned out great too but, let’s get real. If I can choose chocolate or blueberry for breakfast I’m gonna choose chocolate. 🙂 Not always do my recipes I “wing” turn out this good but when they do I love to share the recipe. Hopefully, you like them as much as we do. 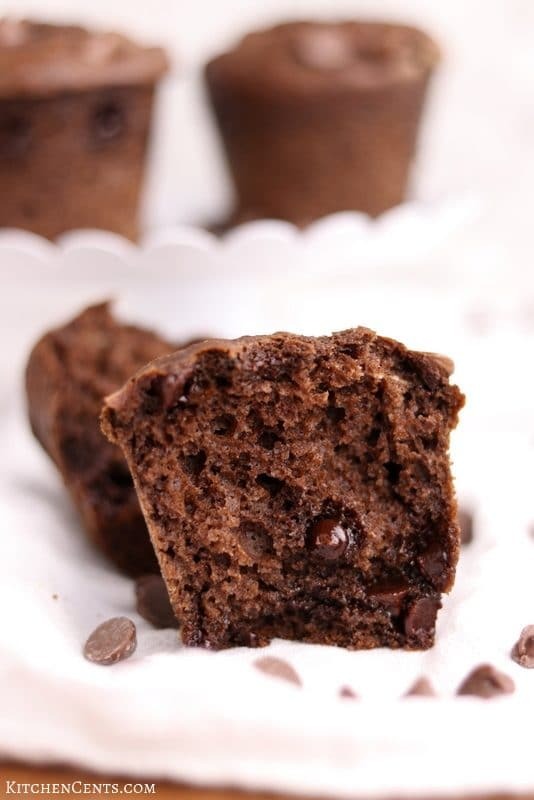 The secret to making these double chocolate muffins moist. There’s a secret ingredient in these muffins that help keep them moist as they bake. Can you guess what it is? SOUR CREAM… I bet you didn’t guess that, did you. Sour cream is a great addition to baked goods. It adds moister and a little tang like buttermilk in buttermilk pancakes. Don’t worry if you’re not a sour cream fan. You or anyone else who eats these probably won’t realize there’s sour cream in it. You don’t have to include the chocolate chips but I would highly recommend it. The muffin batter isn’t super sweet because this recipe has chocolate chips added to it. The chocolate chips add just the right amount of sweetness without being overly sweet. Without the chocolate chips these muffins won’t be that sweet and frankly probably wouldn’t taste as good. If you don’t like milk chocolate, you could add dark chocolate chunks, white chocolate, peanut butter chips (that would be AMAZING I bet). You’ll want to replace the chocolate chips with something really sweet. You’re muffins look tall. Do I need a special muffin tin to make this recipe? No, you don’t need a “special” muffin tin. I did bake this batch in a silicone muffin try with deep cups but this recipe (the bake time) is to make about 12 regular size muffins using a regular 12-count muffin tin. If you’re interested in silicone muffin trays here’s a link to ones that are similar to the size and type I have. 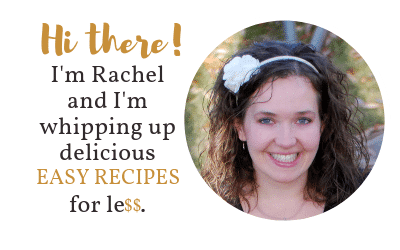 You can actually make this recipe into mini muffins also. You’ll need to adjust the bake time as mini muffins will bake a little quicker. I’d check them at 10 minutes then every couple of minutes after that until they’re done. I haven’t tried this recipe as minis but would guess they would bake within 10-14 minutes. 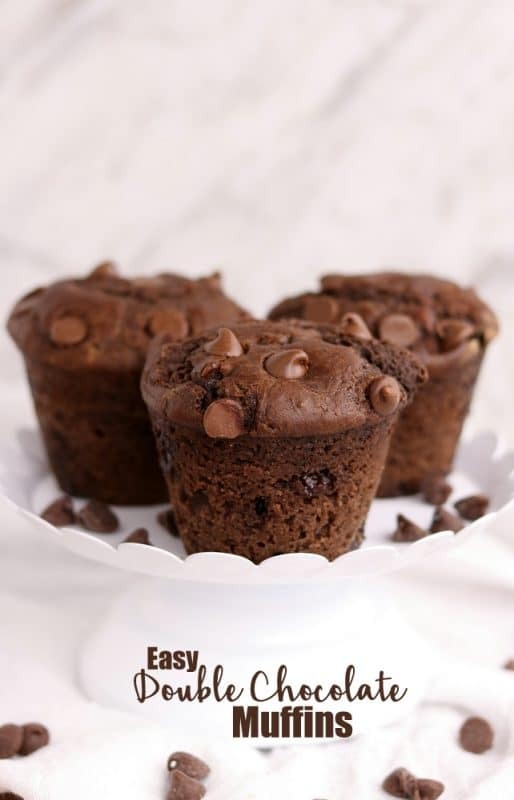 How would you enjoy these double chocolate muffins? As a breakfast, dessert or snack? 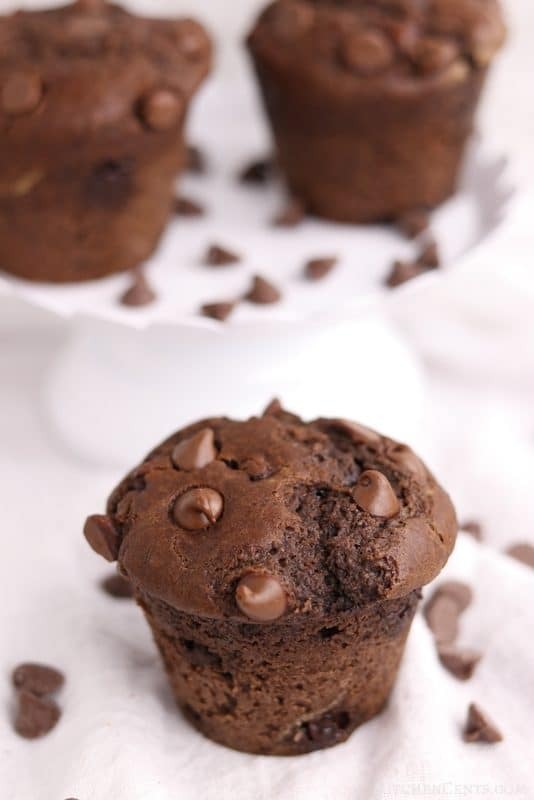 Moist chocolate muffins loaded with chunks of milk chocolate. 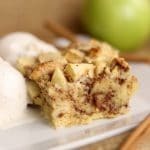 A sweet 30-minute breakfast, snack, or dessert everyone will enjoy! 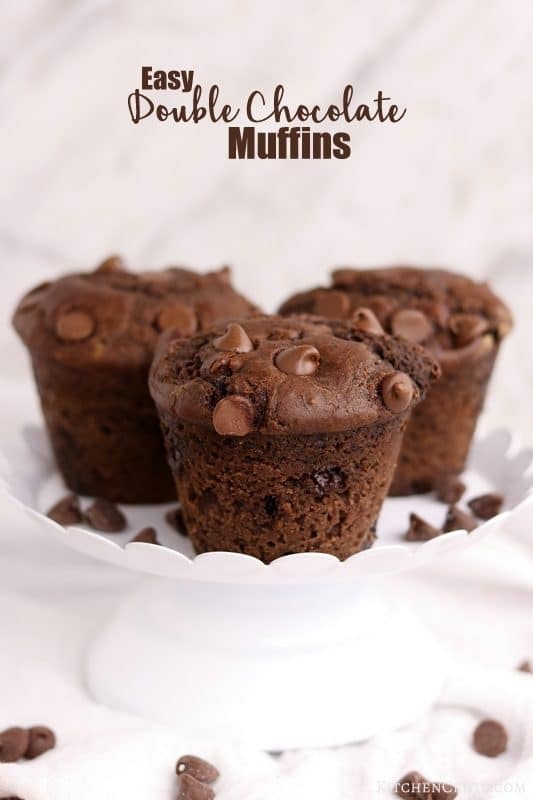 Spray with non-stick spray or line with muffin paper liners a 12-count regular muffin tin. In a large mixing bowl, blend flour, sugar, cocoa powder, baking powder, baking soda, and salt. Add milk, sour cream, oil, and egg. Mix until only until just incorporated. Fill each muffin cup about 3/4 full. Sprinkle a few chocolate chips on top. 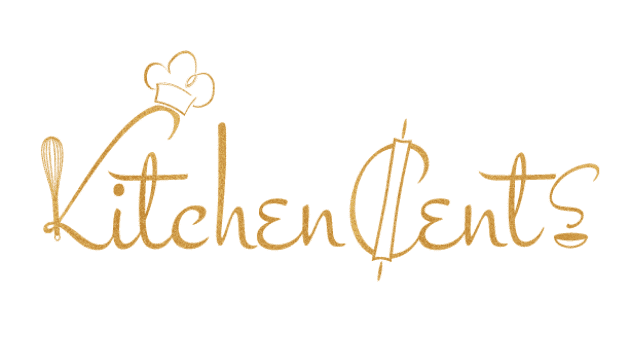 Bake at 350°F for 17-19 minutes or until a toothpick poked into the center comes out clean.